Police are supposed to uphold and maintain the law, but a recent court case shows that in some instances, officers do not even understand the charges that they are pressing against members of the public. 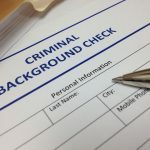 The misapplication of criminal charges can lead to people being arrested and detained for no legal reason, as well as potentially having to go through the distress of court proceedings unnecessarily. 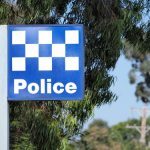 A magistrate in the ACT said police might need to have more legal training on what constitutes various criminal offences after a woman was arrested and detained on the wrong charge in Canberra last year. The woman was arrested at a bus interchange in May 2013, capsicum sprayed, and charged with two counts of obstructing or resisting a public official, and another charge of breaching the peace. The woman was alleged to have kicked a bus stop sign and shouted loudly, and when police told her to stop she allegedly walked away and began hitting a glass window. Police then tried to arrest her, fearing that if left to go home alone she would breach the peace. When the woman resisted arrest, police used capsicum spray to restrain her. The defendant’s lawyer in court earlier this month that the woman had been wrongly charged with breaching the peace as her behaviour did not fit into the definition required, and therefore not only was the charge against her inappropriate, police attempts to arrest her were also illegal, which meant that she could not reasonably be convicted of resisting arrest. Although it was accepted that the officers had acted in good faith and hadn’t used any unnecessary force when arresting the woman, the charges were dismissed by the magistrate, who also suggested to the prosecution that further police training might be necessary. The woman reported feeling scared and shaken after the incident. 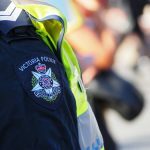 She is said to be considering an official complaint to ACT Policing, but is unable to start civil proceedings as there is a six-month time limit. The lack of an official complaint also means that there has been no investigation undertaken by police. What is the legal definition of breaching the peace in NSW? Breaching the peace is not of itself an offence in NSW but under the Law Enforcement Powers and Responsibilities Act 2002 (LEPRA), police are allowed to arrest or detain a person to prevent a breach of the peace occurring. As the term “breach of the peace” is not defined in LEPRA, this can lead to a range of different interpretations and misunderstandings. It is generally understood that for a breach of the peace to occur, there need to be other members of the public present. A breach of the peace can encompass violent behaviour, loud noise and other disruptive activities. In the case of the woman in Canberra, it was successfully argued that as nobody else was around, her behaviour couldn’t be classed as a breach of the peace. ACT police are not the only ones who get things wrong. 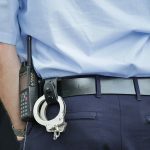 Over the last few years there have been a number of well-publicised cases of the NSW Police Force making wrongful arrests, or overstepping their powers. In one case last year, a NSW woman sued the police for wrongful arrest after she was arrested in 2010 and charged with conspiracy to murder. The charges against her were later dropped, but the woman had already been humiliated and intimidated in custody, and she asserted that threats had been made against her. 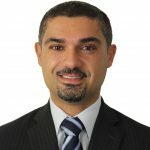 The matter was settled in the NSW District Court in October last year for an undisclosed amount. 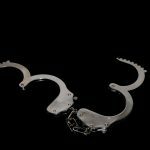 On a wider scale, a class action was undertaken in NSW last year against the police service for the wrongful arrest and imprisonment of young people. The consequences of police misinterpreting or misunderstanding the law can be serious, and can lead to distress and humiliation for members of the public, not to mention the stress, anxiety, inconvenience and expense of having to go through court proceedings. 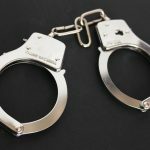 If you have been wrongfully arrested or detained by police, it’s important that you speak to an experienced criminal lawyer as soon as possible. A good defence lawyer may be able to get your charges withdrawn and recover your legal costs, and even take further action against police where appropriate.